2 Are You Ready To Stand Out In Houston? Whether you're getting ready to showcase your company at the ITS America 20th Annual Meeting in Houston or at the 2011 ITS World Congress in Orlando, Global-5 can position your company as a leader. ARE YOU READY TO STAND OUT IN HOUSTON? As ITS America's 20th Annual Meeting & Exposition approaches, now is the time to position your company as ITS market leaders in America and the world. 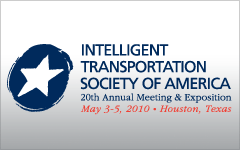 The ITS industry is preparing for the 18th World Congress in Orlando, October 16-21, 2011. Let Global-5 help you maximize this excellent opportunity to showcase your company on a worldwide stage. Global-5 has been at the forefront of advanced ITS technology for years. The team made history in 2007 when it coordinated and hosted the first Florida IntelliDrive demonstration.